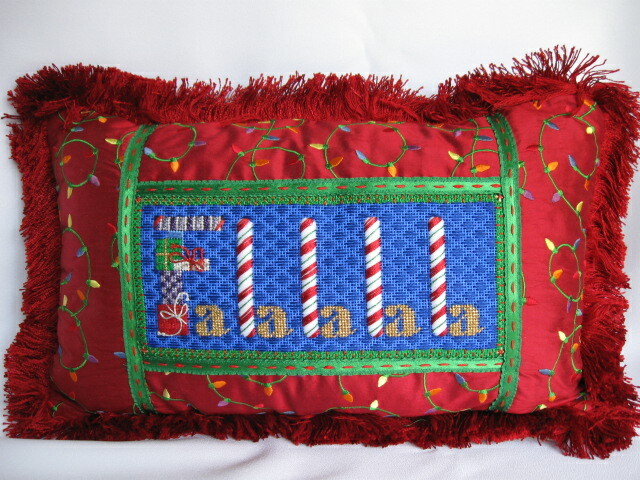 Associated Talent's "Falalalala" pillow is a delightful project for the Christmas Holidays. Originally a class that our very own Laurie taught, the canvas on 13 mesh and stitch guide are still available. Call Needle House for more information and start your Holiday pillow now!